Do you want to make iOS 11's Wi-Fi and Bluetooth Control Center tools great again? Here's what you can do instead. 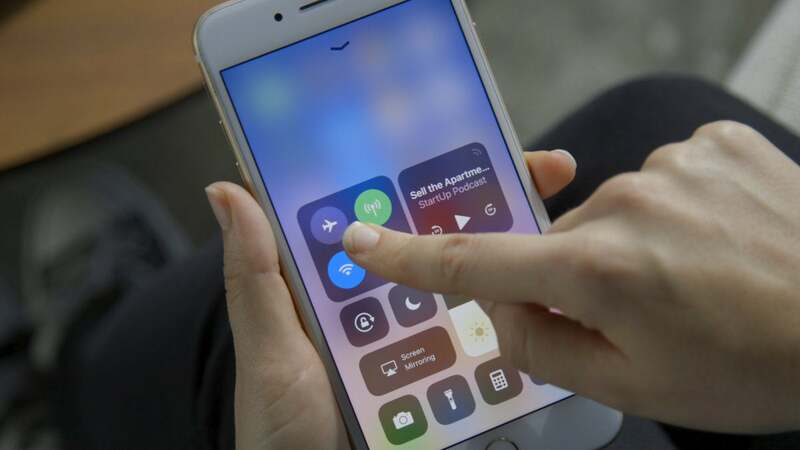 Many iPhone and iPad users are annoyed at Apple’s decision to change the way Control Center’s Wi-Fi and Bluetooth controls work, as they no longer work. Fortunately, you can still switch connectivity off quite easily. What is the problem with the Wi-Fi and Bluetooth tools? Apple in iOS 11 decided that when you tap the Wi-Fi or Bluetooth buttons in Control Center, the system now will disconnect you from any devices or networks you are currently on but no longer truly switches Wi-Fi or Bluetooth off. This means that even though you thought you switched them off, they remain active for things like AirDrop, AirPlay, Continuity, Hotspot, Location services and devices such as the Apple Watch and Pencil. To be fair, there is a slight hint in the UI: When you tap Wi-Fi or Bluetooth buttons in Control Center, those button icons will be greyed out. However, if you use one of these methods to truly switch them off, you will see the Control Center button icons greyed out with a diagonal line through them. I believe users are smart enough to decide when they want those “important features” to be available to them, and when they don’t. Despite Apple's weird decision, there are three ways you can properly disable Wi-Fi and/or Bluetooth in iOS 11. The easiest way to enable and disable these connections is to ask Siri: “Hey Siri, switch off Wi-Fi,” should do the trick. You can also ask Siri to switch these Settings on again. When Siri switches these Settings off, it does so within the Settings controls of your device, so the connections are genuinely off. AirPlane mode will truly disable Wi-Fi, Bluetooth and your mobile network connection with a single tap. Swipe up to get to Control Center and tap AirPlane Mode to switch them off. If you want (for example) to keep your mobile network and Wi-Fi active but want Bluetooth to be truly left off, you’ll tap AirPlane Mode and then tap the network and Wi-Fi icons in Control Center to enable those Settings again. UPDATE: Michael Berlant wrote me on 2/14/2018 to let me know that this doesn't work any more -- you can still enable Bluetooth and Wi-Fi, but not Network settings any more. Another way to disable these Settings is to open Settings>Wi-Fi, or Settings>Bluetooth and toggle them from green to off. I find this a little tedious, and much prefer using Control Center, even in the slightly convoluted manner described above. I think users should be in complete control of their connectivity settings. I understand that this may impact how they use other Apple services and devices, but I do like to believe that people are smart enough to make such decisions for themselves. It is good that you can still disable these settings as and when you choose, but it is annoying that Apple chose to chip away at our control of such matters — particularly in light of the shocking revelations that Uber has been enjoying privileged (and sinister-seeming) access to our iPhones. People have a right to know who has access to their stuff, and they should be empowered with tools to prevent such access whenever they like, not as an exception, but as a rule.